Tech Reviewer – Samsung Galaxy S5: Success? You are here: Home » Apps » Samsung Galaxy S5: Success? 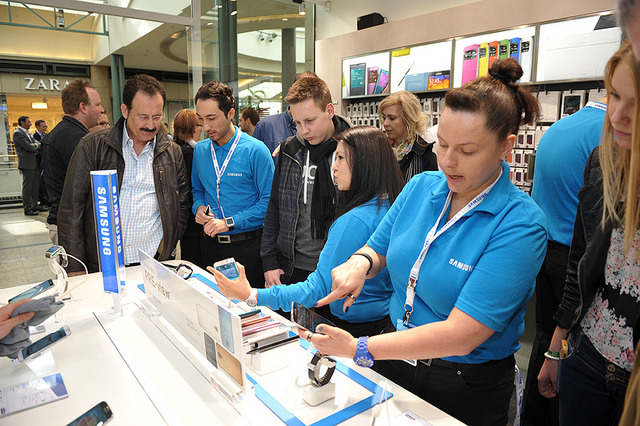 The Galaxy S5 is Samsung’s latest technological gadget hitting international stores. Samsung seemed to be opting for a more careful approach with the S5 than with its previous Galaxy phones. There has been immense criticism regarding Samsung’s recent production. It appears Samsung’s biggest issue isn’t figuring what to add to its new smartphones, but determining what to le ave off. The Galaxy S5 comes in charcoal black or shimmering white. It has a 5.1 inch full HD Super Amoled touchscreen, a QUalcomm Snapdragon 801 System on a Chip, a 16 – MP rear camera, a 2-MP front-facing camera and it runs Android KitKat 4.4.2. The newest additions include water-resistance and dust proof. It is claimed to last up to 30 minutes drenched in a metre of water. Though it doesn’t ensure to be completely water-resistant, it may avoid early smartphone failures. The Galaxy S5 has a fingerprint scanner and a heart rate monitor and it contains Samsung’s Air Gestures and Air View. It has been stated that the camera, display, SoC and battery are reasonably better than in the S4. The fingerprint scanner is being positioned into the home button on the front of the device. An advantageous aspect about this feature is that it includes added security to protect the device’s content as well as the fact that it is more preferable than inserting a PIN to unlock. The only way to gain access to this unique feature on the Galaxy products is to invest in a S5. Figuring out whether the S5 is worth the purchase depends upon the individual consumer. The S5 is a modest improvement over the S4. The new quad-core Qualcomm processor inside the phone keeps everything moving along. The battery is bigger, with up to 21 hours of talking time. When the device is close to running out of battery, the very useful ultra power-saving mode can save the device’s life. Its screen switches to a white-on-black display and only important communications are supported within the S5. With regards to criticism, Samsung has been critiqued for its cheaper outlook. It combines plastic and a faux leather back for a pleasant look but an unimpressive feel. It appears that Samsung has devoted much of its attention into part of the phone that the consumer will be engaged with at all times: the screen. 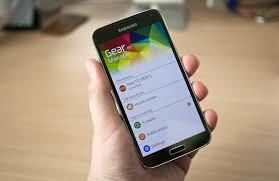 Remarks have denounced the GalaxyS5 claiming that it is only a slight advancement from theS4. “TheS5 is less of a redesign than a refinement of its 2013S4″, Carl Howe, a Research Vice-President at the Yankee Group exclaimed. He further adds,”Given that theS4 has fallen a bit short of Samsung’s sales goal to surpass the iPhone. I don’t think the [S5] will do so either”. TheS5 did not receive a highly celebratory welcoming. However, Nick Spencer, Senior Practice Director at ABI Research stressed that theS5 “is a powerful sub-brand and the only rival to the iPhone to date”. Rather than remaking the Galaxy S4, Samsung is rectifying it, concentrating on what makes it such a success and designing features that aren’t attractive to customers who haven’t purchased previous Samsung products. Given its unique entrance to the global technological community, Samsung still manages to hold onto its loyal customers.